"A great man is the man who does something for the first time"
I'd like to think that I've experienced a lot of things that many other people have not. I am the only person I know that has experienced a 6.9 earthquake, lived in Saudi Arabia, went to JFK's boarding school, dropped out of high school, lived homeless, and ended up working at one of the world's greatest visual effects companies. Unusual to say the least, but at 32 years old, I feel there is much that I haven't done in my life. For example, up until recently, I had not seen the film "Citizen Kane" (great movie, by the way). Dedicated to the phrase "I've never done that", I am attempting to try completely new things everyday for a full year (2011) and write about them. The idea behind this project is to try new things, to get outside of my comfort zone, to push myself a little harder, to do things that I've always wanted to do, and to have fun. 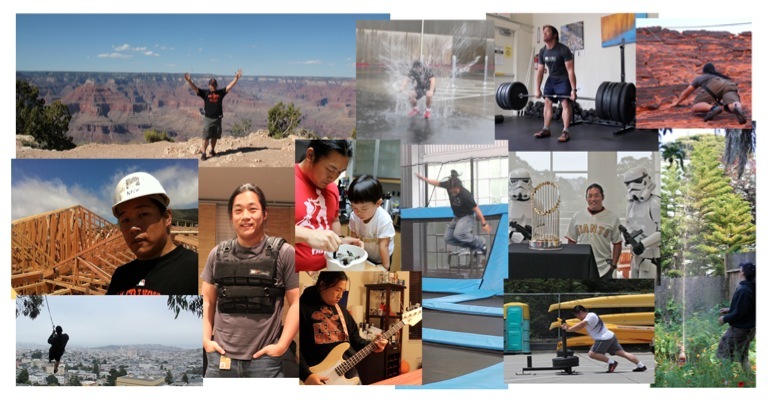 Some things will be big, like seeing the Grand Canyon for the first time, some will be mundane, like repairing a toilet handle, and some will be social experiments or life experiences, like wearing a thirty pound weight vest for a day. This is not a "bucket list". This is my year to enjoy life's adventures (the big and the small) with something brand-new, every single day. Quite a few people have said that it sounds difficult. The truth is that it is, but I like to think that if it’s easy, it’s not as worthwhile either. Anyone can do easy, right? One thing's for sure - no two days in 2011 will ever be the same.